Picture this: One day, you’re going through your mail, and you find a summons for jury duty. The funny thing is, it’s not for you; it’s for your child, who’s only 8 years old. It must be some kind of bureaucratic screw-up, so you toss it in the bin. Shrugging this situation off is a perfectly natural reaction, but it’s also a big mistake. When a child receives a jury summons, or any other mail that’s clearly meant for an adult, it nearly always means the child is a victim of identity theft. Child identity theft is a major problem in the United States. According to a 2018 study by Javelin Strategy & Research, more than 1 million children were victims of identity theft in 2017. Shockingly, more than half of them were victimized by someone they knew personally, such as a parent, relative, or teacher. Children are particularly appealing targets for identity thieves because they don’t normally use credit. Thus, a thief who steals a child’s identity can often use it for years before anyone discovers the theft. Child identity theft differs in many ways from adult identity theft. According to the Bureau of Justice Statistics, most cases of identity theft involve fraudulently using someone else’s credit card, bank account, or other existing accounts. Only 4% of cases involve “new account fraud,” or opening up a new account with someone else’s information. For children, however, new account fraud is the most common type of identity theft, according to both the Javelin study and a 2011 study at Carnegie Mellon University (CMU). The CMU study looked at over 40,000 children and found that 10% of them had a Social Security Number (SSN) that someone else was using illegally. That’s roughly 51 times the rate of new account fraud for adults. Thieves can even combine a child’s SSN with a fake name and birthdate to create an entirely new identity. This crime, called “synthetic identity theft,” is particularly hard to detect. The victims often don’t discover the crime until they turn 18 and try to apply for their first credit account, only to learn their SSN is already attached to a credit report in someone else’s name. 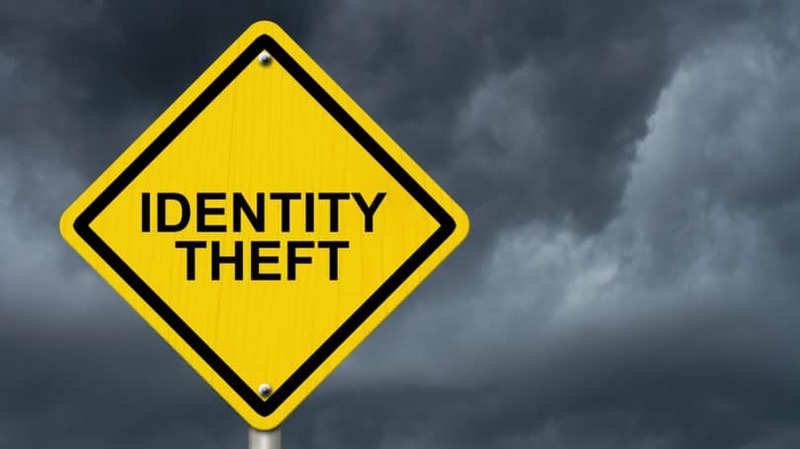 A law passed in May 2018, called the Economic Growth, Regulatory Relief, and Consumer Protection Act, aims to address the problem of synthetic identity theft. It requires the Social Security Administration (SSA) to create a new database that banks can use to check a customer’s personal information – name, date of birth, and SSN – when they apply for a new account. However, the law doesn’t require banks to check this information before opening the account, so it’s unclear how much it will help. Organized Cyber Criminals. Criminals steal kids’ SSNs for one simple reason: to get money. They use a child’s SSN to create a fake identity and build a credit history from scratch. Once they’ve established a good credit score, they take advantage of it to go on a borrowing binge, racking up huge amounts of debt. Then they simply discard the fake identity, leaving the victim with a severely damaged credit rating. Illegal Immigrants. Undocumented immigrants often use stolen SSNs for a different kind of synthetic identity theft. By pairing a child’s SSN with their own name and date of birth, they can make themselves appear to be U.S. citizens. They can then use their new ID to apply for jobs and file tax returns. Friends and Family. Sometimes, parents and with poor credit ratings try to get around them by taking advantage of their kids’ clean credit histories. For instance, they might set up utility bills in their child’s name instead of their own. 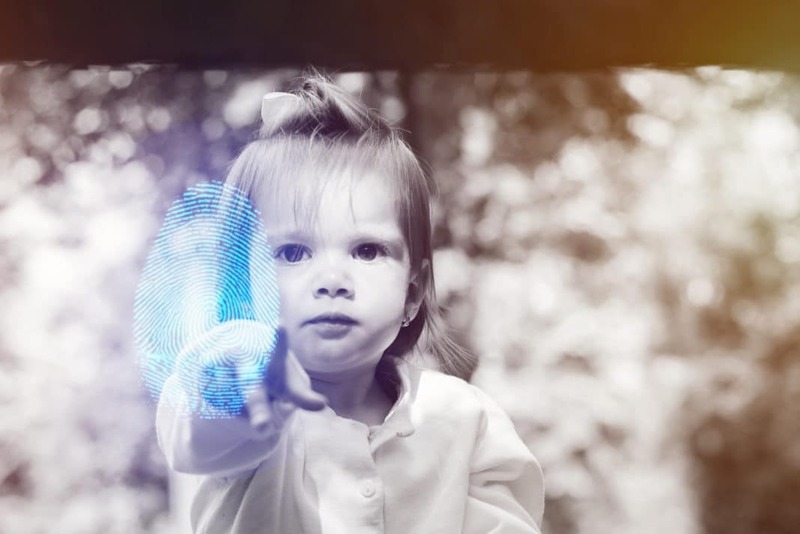 In other cases, friends and acquaintances, such as nannies, who have access to a child’s personal records make use of the child’s identity for the same reason. Often they don’t mean to harm the child, but their actions saddle these kids with a false credit history and sometimes a poor credit rating as well. Identity theft affects children of all ages. The 2011 CMU study found that 15- to 18-year-olds were the most likely victims, but a significant number of victims were less than 5 years old, and the youngest was only 5 months. The more recent Javelin study found that identity theft has now shifted more toward younger victims. In that study, more than two-thirds of the victims were under 8 years old. Targeting children this young allows criminals to use their information for longer periods without being caught. Even newborn babies can be victims of identity theft. In 2011, the SSA changed the way it assigns SSNs, using random nine-digit numbers rather than numbers based on the area where a child is born. As a result, clever thieves can use SSNs that haven’t even been assigned yet for synthetic identity theft. That means a newborn baby can receive an SSN that’s already linked to a lengthy credit file. Because child identity theft is more complicated than adult identity theft, it can be more costly too. The Javelin study found that identity thieves who targeted children stole an average of $2,303 from them – more than twice the average amount lost by adult victims. Worse still, the families of these child victims ended up having to pay an average of $541 of that loss out of their own pockets, while adult victims were typically able to avoid all liability. However, these are only average amounts; for some victims, the cost can be much higher. The CMU study identified one 16-year-old girl whose credit file showed she had over $725,000 in debt. There were 42 credit accounts in her name opened by eight different people, including credit cards, mortgages, and collection accounts for medical bills and utilities. Another victim, a 14-year-old boy, had a credit history going back more than 10 years, including several credit cards and a mortgage on a $605,000 California home that was already in foreclosure. But the costs of child identity theft go well beyond the financial damage. It can destroy a victim’s credit rating, making it hard for them to get a credit card, student loan, mobile phone, job, or apartment. Victims often face major battles to clear their names and restore their clean credit histories. The CMU study profiled one college student from Texas who applied for an internship and discovered that someone else had been using her SSN for employment for years. The student was then deemed “unemployable” because she didn’t control her own SSN. She spent months dealing with credit bureaus, her employer, and the SSA to resolve the issue. Dealing with the identity theft became “like a full-time job,” she says, involving hours of paperwork, phone calls, and standing in line. Child identity theft is often hard to detect since children don’t usually have accounts in their names that you can monitor for suspicious activity. However, the Federal Trade Commission (FTC) and other identity theft experts have identified several red flags that can alert parents that someone is misusing their child’s personal information. Receiving offers for pre-approved credit cards addressed to your child is a special case. An offer like this isn’t always a sign of identity theft because credit card companies sometimes send out these offers to people entirely at random. They could have gotten your child’s name off a bank account, a college fund, or another legitimate account set up in their name. However, if you get a whole bunch of these offers at once, that’s a sign that someone has opened up a credit file using your child’s information. When you go through your daily mail, keep an eye out for any suspicious items on this list. Also, pay attention to any mailings about security breaches at any company you do business with that has access to your child’s information. If you receive such a notice, jump into action right away to protect your child’s identity. With child identity theft on the rise, it makes sense for parents to take every precaution they can to safeguard their children’s personal information. Here are the steps the FTC and other experts recommend to keep your kids safe. If you’re concerned about child identity theft, the first thing to do is find out if your child has a credit report. Eva Velasquez, the president of the Identity Theft Resource Center, explains in a CNN interview that, in theory, a child shouldn’t have a credit file because you only have one if you’ve applied for credit – something children are too young to do. If a credit report exists in your child’s name, it’s most likely because an identity thief has created one. To check your child’s credit status, contact each of the three credit bureaus – Equifax, Experian, and TransUnion – and ask for a manual search of your child’s file. The bureaus can check for files with your child’s name and SSN, as well as files with the SSN only. However, before they do this, they’ll probably require several documents to prove that you’re the child’s parent. You may have to provide copies of your child’s birth certificate and Social Security card, your own driver’s license or other legal ID, and proof of address. Checking your child’s credit status should be your first move if you spot one of the red flags indicating that your kid may be a victim. However, even if you’ve seen no warning signs, it’s a good idea to check your kid’s credit status around the time they turn 16 years old. That way, if you find a credit report with errors or fraud on it, you’ll have time to correct it before your child needs to start applying for jobs or student loans. If you find a credit report in your child’s name, don’t panic. It’s possible you created it yourself by accident. According to the CMU report, if you opt your children out of pre-approved credit card offers, that opens a credit file for them. You can’t delete this file, but you can freeze it, as discussed below. Don’t Share Your Child’s SSN. If you have to fill out a form that requests your child’s SSN, don’t automatically fill it in. Many organizations that ask for this information, such as doctors’ offices or summer camps, don’t actually need it. Ask the person who gave you the form if you can leave this space blank, use some other sort of number for identification, or write only the last four digits of your child’s SSN. If they insist on having the full SSN, ask them why it’s needed and what steps they will take to protect it. Don’t fill it in unless you’re satisfied with their answers. Keep Documents Locked Up. Find a safe place to store any documents that contain your child’s personal information, such as birth certificates or tax returns. File paper documents away in a spot where visitors to your home can’t get at them, such as a safe or a locked file cabinet. Protect digital documents by using strong passwords on all your personal electronic devices. Use a Shredder. If you no longer need one of these documents, make sure you shred it before disposing of it. Thieves aren’t above going through your recycling bins to get ahold of personal information. Don’t Carry Sensitive Documents. Don’t routinely carry any document containing your child’s SSN, such as a passport or Social Security card, in your wallet, purse, or car. If you do, anyone who breaks into your car or steals your wallet or purse will gain access to this valuable information. A Home Break-In. If burglars break into your home, they can steal more than just your stereo or jewelry. 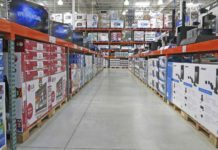 They could also dig through your filing cabinet and walk out with documents that have your child’s SSN or other personal information – a loss you might not notice immediately the way you would with a stolen TV. Also, if the thieves take your computer, they can get into any files that aren’t password-protected and find your child’s information that way. Losing Your Wallet. If your wallet or purse is lost or stolen, anyone who finds it can make use of any personal documents you were carrying. This could put your child’s personal information at risk, as well as your own. A Data Breach. Your child’s school, doctor’s office, and other businesses you deal with regularly can all have your child’s personal information on file. If you get a notice from any of these places about a data breach, take it seriously. Hosting Risky Relatives. According to the FTC, one of the biggest risk factors for child identity theft is having “an adult in your household who might want to use a child’s identity to start over.” This could mean anything from an uncle who was recently released from prison to a cousin escaping an abusive marriage. That doesn’t mean you shouldn’t open your home to relatives or friends who need help, only that you should be extra careful to keep your child’s information under lock and key while they’re around. And if they disappear suddenly, take that as a definite warning sign that your child’s information could be at risk. Many schools keep a student directory containing information such as students’ names, dates of birth, contact information, and photos. This information is often available to other students and their families or even to the general public. To protect your kids, you need to know what information your school collects and what it does to keep that information safe. Know Your Rights. The Family Educational Rights and Privacy Act (FERPA) is a federal law that protects the privacy of students’ school records. Under FERPA, you have the right to inspect your child’s records, request corrections if anything is wrong, and opt out of having your child’s information shared with third parties, including other families. The school can still disclose information in special cases, such as a health emergency. Another law, the Protection of Pupil Rights Amendment (PPRA), requires schools to get your consent before your children take part in any survey or evaluation funded by the U.S. Department of Education (DOE) that could reveal personal information about your family. Know Your School’s Policies. Ask your school what information it keeps in its student directory and who has access to it. Also, learn about where the school stores its records and what it does to keep them secure. Check Out After-School Programs. If your child is involved in any programs that take place at the school but aren’t officially sponsored by it, such as music or sports, check out those programs separately. Some of them have websites that include children’s names and photos. Read the privacy policies of the organizations that sponsor these activities to find out how they can use and share your child’s information. Opt Out in Writing. If you want to opt out of making your child’s directory information available to third parties, the FTC recommends putting your request in writing. Keep a copy of the letter for your files so you can prove you made the request. Respond to Data Breaches. If you receive notice of a data breach at your child’s school, or if you believe your child’s information is at risk, contact the school to find out more. Talk to everyone: teachers, staff, and administrators. Find out what happened and what they’re doing about the problem, and keep written records of your conversations. If you’re not satisfied, write a letter to the school superintendent or the school board, or file a written complaint through the Family Policy Compliance Office at the DOE. One way to protect your kids from identity theft is to freeze their credit reports. Since minors can’t use credit anyway, this shouldn’t cause them any inconvenience, and it will ensure that thieves can’t borrow money using their names. Setting up a credit freeze for your child is a little more complicated than doing it for yourself. You have to mail in a form to each of the three credit bureaus, along with copies of various documents to prove your child’s identity and your own. You can find a complete list of the required documents, along with the address to mail them to, on the Equifax, Experian, and TransUnion websites. After setting up the credit freeze, each credit bureau will send you a PIN you can use to lift the freeze. Hold onto this PIN and the instructions for using it so that you can “thaw” your child’s credit report when they turn 18. To make sure you don’t lose the PIN, make a backup copy and store it in a secure place, such as a safe deposit box. Freezing your child’s credit can’t protect them against all forms of identity theft and fraud. For example, it won’t stop thieves from using your child’s SSN to obtain medical care, apply for government benefits, get a job, or file taxes. Even after setting up a credit freeze, you still need to be vigilant about protecting their personal information and following up on any suspicious activity. There’s one more place identity thieves can get your children’s personal information: from your kids themselves. Children who don’t know about the dangers of identity theft could easily let valuable information slip to people they don’t know well. Javelin says this danger is particularly high for kids who are victims of bullying. There’s a strong link between fraud and bullying, perhaps because children who feel vulnerable at school may be more likely to share personal details online where it feels safe. Not to Give Information to Strangers. Just as you protect your kids by teaching them not to get into a car with a stranger, teach them not to give their full name, address, or phone number to anyone they don’t know. This includes everyone from the website that requires your name and phone number before it gives you access to an awesome game to the nice lady from the credit card company who calls to “verify” the names of everyone in the house. Not to Overshare Online. Even if kids wouldn’t give their name and address to a stranger on the street, they may not understand that sharing this info on social media makes it easy for strangers to find. Tell them to confine their personal details to a private profile open only to people they trust. If they want to keep a blog or post videos on YouTube, then encourage them to use an Internet code name instead of their real name. Teaching your kids this lesson can protect them not just from identity theft, but also from more dangerous crimes, like kidnapping or sexual assault by Internet predators. How to Keep Their SSN Secret. If your children know their own SSNs, make sure they also know the importance of keeping them private, even from people they know. Teach them all the same rules for safeguarding their SSN that you use yourself: try to avoid entering it on forms, don’t carry sensitive documents, and shred documents before tossing them in the bin. Also, warn them against entering their SSN on any website, even one that claims to be secure. How to Spot Scams. Teach your kids about phishing and other common Internet and email scams so they’ll recognize them when they see them. Also, make sure they know the basics of Internet security, such as how to create strong passwords and tell the difference between secure and unsecure sites. It’s hard enough dealing with the aftermath if you’re a victim of identity theft. It’s even more painful when the victim is your child. And sadly, according to CNBC, the fact that the victim is a minor doesn’t make it any easier to unravel the web of fraud and lies. Simply saying that the person who allegedly ran up that five-figure credit card bill is 8 years old isn’t enough to prove your child wasn’t responsible. You have to go through the lengthy process of contacting creditors and providing proof of identity just as you would with an adult victim. The fact that so many victims of child identity theft know the perpetrator adds yet another wrinkle. Relatives who steal a child’s identity sometimes use the child’s actual home address and phone number when applying for accounts, making it harder to prove they’re not legit. Also, victims and their parents sometimes hesitate to bring the full force of the law down on someone they know. Contact the three credit bureaus, as outlined above, to see if your child has a credit report. If there is one, get a copy of the report and use it to find out which companies have fake accounts in your child’s name. Go to IdentityTheft.gov or call 877-ID-THEFT to file an Identity Theft Report. This document will help you when dealing with creditors. If someone has filed taxes using your child’s SSN, report that crime separately using the IRS Identity Theft Affidavit (Form 14039). Contact the companies that have accounts in your child’s name. Tell each company the account is fake and the supposed account holder is a minor who can’t enter into a legal contract. Ask them to close the account and send you a letter confirming that your child isn’t liable for any of the charges. Then send the company a follow-up letter, including copies of your child’s birth certificate and the Identity Theft Report. Take notes to keep track of which companies you’ve contacted and when. When you receive your child’s credit report, it should come with instructions for removing fraudulent accounts. Each credit bureau has its own procedures for doing this, so follow the instructions you receive. After you’ve removed all the fake accounts from your child’s credit report, set up a credit freeze to make sure the thieves can’t open any new ones. Under federal law, parents can freeze the credit report of any child under age 16 for free. Teenagers of 16 or 17 years old can freeze their own credit. Being a parent is a tough job. On the one hand, you want to take care of your kids and protect them from everything that could hurt them. On the other hand, you also want to teach them to stand on their own and take care of themselves. When you protect your kids from identity theft, you’re doing both of those things at once. By safeguarding their personal information while they’re young, you make sure no one can damage their credit rating before they’re even old enough to need it. At the same time, by teaching them about the importance of online security and privacy, you’re helping them develop good habits to take care of themselves when they reach adulthood. What steps have you taken to protect your child’s identity?